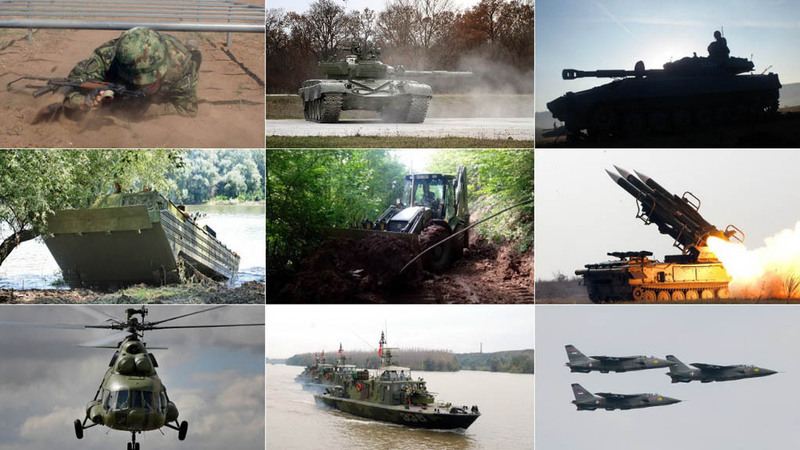 Branches are parts of Serbian Armed Forces that have similar weapons and equipment, specific organisation, training and purpose and they provide one of the combat capabilities accross the whole range of military operations. Infantry is the most massive SAF branch, equipped and trained to combat in any type of terrain and weather conditions. By engaging in different combat operations, with assistance and support of other branches, Infantry conducts sustainable and enduring armed battles at the theater of war even under the most difficult conditions. As part of the overall SAF restructuring, Infantry branch has been undergoing reforms aimed at setting up smaller, state-of-the art and more combat efficient units. Nowadays, Infantry is made of infantry battalions in the Army and Territorial Forces, and Infantry servicemen make up the core of the Special Brigade personnel. Infantry units (motorized company and shooting platoons) play active role in preparing and participating in peace keeping operations. Infantry units are equipped with contemporary optical, electronic, thermal vision and ballistic devices and equipment from”M21 Infantryman Outfit Model”. Training is adjusted to modern requirements and Serbia’s integration in international community through participation in peace keeping operations. The Day of Infantry is celebrated on 16th November to commemorate 16 November 1914 when the battle of Kolubara, one of the most famous WW1 battles fought by the Serbian army against Austro-Hungary, began. It lasted for 30 days – from 16th November till 15th December, under extremely unfavorable conditions on a 200 m long front. The main Serbian forces were 11 Infantry and 1 cavalry divisions supported by 426 artillery pieces. Armor units are basic maneuver force of the Army and SAF in operations. They are equipped with the most powerful weaponry of the Army (tanks, IFVs) giving them the leading role and vital importance in fulfilling the SAF first and second missions. In addition to their role in offensive operations, Armor units are a respectable factor in anti armor combat and a useful player in fulfilling the SAF third mission. In their purpose, character and essence, Armor units are an offensive component of the Army, capable of rapid, daring, sudden and powerful combat actions in any terrain, weather and battle conditions. Armor units, as basic Army and SAF maneuver force, are engaged at the core of offensive and defensive operations. They are characterized by high mobility, strong fire power, great impact capacity and armor protection. In ground operations, Armor units as key Army branch, play primary and decisive role. During the SAF restructuring, a new organizational and formation structure of the Armor units was established with further modernization and technical improvements planned for the future. The concept of Armor units provides for the successful implementation of their tasks. They consist of tank and motorized battalions equipped with M-84 (M-84A) and M-80A IFVs. In addition, basic equipment also includes armor reconnaissance vehicle M-2 and armor command personnel carrier 50PK. Serbian made tanks M-84 and M-84A have proved its great potential for technical improvement so that they can match their contemporary foreign counterparts. Training of Armor personnel is given special attention due to the complexity of armor equipment and numerous procedures that have to be mastered. The beginnings of the Armor branch are related to the first assault by a tank troop on Kraljevo that took place on 31 October 1941 which is nowadays celebrated as the Day of Armor units of the SAF. Thanks to the great courage and resourcefulness of those tank crews, Kraljevo was liberated and the troop gained its first victory and precious experience for further combat. The first tank troop consisted of two French made tanks with Srecko Nikolic, a famous fighter of the Cacak partisan unit, appointed the troop commander. Tank units took part in all big battles and made a great contribution to the liberation of the country from fascism. Armor combat vehicles and their fire power, armor protection and mobility make up the Army strike force which makes them one of the most efficient ground weapons in terms of their combat value. Scientific and technical developments in armor vehicle design and production enabled a whole range of new and versatile armor vehicles. Without them, a contemporary warfare is practically unimaginable. Artillery is a branch of the Army designed to provide fire support and cover for combat units. It has artillery weapons of different caliber and rocket systems. With its specific organization, training and purpose, it provides artillery and rocket capabilities at the battlefield. It is trained to open sudden, strong, accurate and efficient fire in all forms of armed struggle and combat actions and operations. Artillery fire support enables free maneuver of own forces while blocking and demoralizing the enemy. The main battlefield tasks of the Artillery are to slow down, neutralize and destroy the enemy. Under certain battlefield conditions, it carries out some specific tasks: demolishing and damaging of command facilities and military infrastructure, minefields and obstacle breaching, creating smoke screens to prevent the enemy from observing and operating or to conceal movements and actions of friendly forces, setting up fires in buildings or areas, illuminating the ground or setting light markers. With its big fire power, developed maneuvering capabilities, appropriate and timely support of the Army units, Artillery can be critical for the outcome in the battlefield. 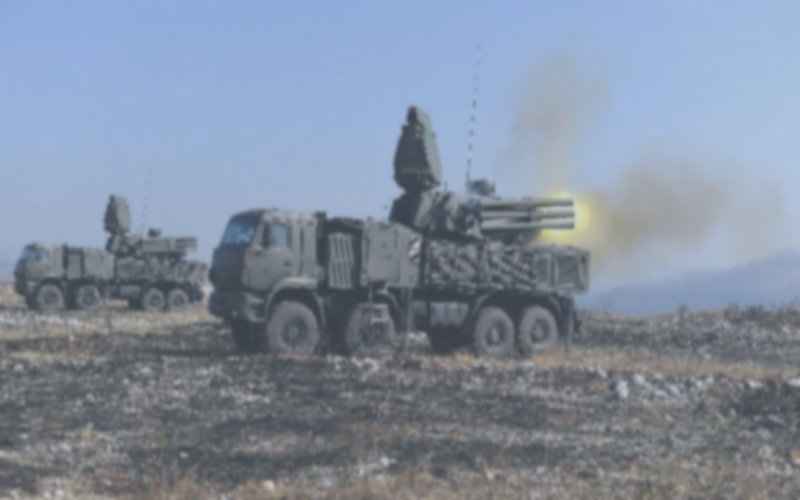 Multiple rocket launchers are being used more extensively. Most of them are self-propelled. Towed artillery pieces are transported by high maneuver motor vehicles that can match track vehicles. The whole range of high precision artillery ammunition and rockets has been developed. “Nora” howitzer-cannon 152mm, M46 cannon 130mm, D-30 J howitzer 122mm, 2S-1 “Gvozdika” self-propelled howitzer 122mm, “Plamen S” and “Oganj” M-78 multiple self-propelled rocket launchers 128mm and “Orkan” multiple (four tubes) self-propelled rocket launcher 262mm are all in operational use. This weaponry is grouped in different artillery battalions of the Army and Territorial Forces. As the number of artillery units decreased, some older artillery pieces were made redundant and contemporary command and information and fire control systems are being developed. Internal development trials of “Sora” self-propelled howitzer 122mm are in the final stage, as well as the trails of “Morava” multiple modular self-propelled rocket launcher and “Hemera” sound surveillance system. Breakthrough of the Thessaloniki front at 8 o’clock on 14th September 1918 started with the longest artillery preparation ever seen in war history up to that date. About 2000 artillery tubes sounded the beginning of the long-awaited attack of the allied armies on the Thessaloniki front. Cannonade of artillery fire had not stopped the whole day and night, after which, at 5.30 on 15th September, the Second Army under the command of Vojvoda Stepa Stepanovic, followed by the First Army of General Petar Bojovic, started their unstoppable attack which began in Thessaloniki and ended on the rivers - Sava and Danube. In his masterpiece “Serbian trilogy”, writer Stevan Jakovljevic, who was a reserve artillery officer at the Thessaloniki front, when describing the might of Serbian artillery and its impact, states that even the altitude of one grid point on the main fire direction was decreased. In memory of our glorious ancestors and their heroic victories, 14th September is celebrated as the Day of Artillery. Engineers as a branch of the Army are tasked with engineering works such as setting obstacles, breaching, road building and fortification. As a contemporary combat and technical branch, Engineers are equipped and trained for missions and tasks in war and peace. Tasks related to all three SAF missions cannot be fulfilled without engineer units. Engineer officers and units undergo extensive professional and practical training when performing their peacetime tasks. SAF Engineers are organized in battalions and smaller units that are integrated in the brigades of the Army, Air Force and Air Defence, and in the pontoon battalions, which are integrated into the River Flotilla. Dealing with live explosive ordnance and complex machinery in often very difficult weather and terrain conditions requires a complete mental and physical fitness and high level of training. Engineer units with well trained and highly skilled personnel are critical for the success of future tasks. There are plans to furnish Engineers with state-of-the-art equipment, primarily, engineer machinery and systems for setting and breaching obstacles which would provide adequate safety for the operators and crew members. Further development and introduction of new and modern equipment guarantee the success of future Engineer tasks related to all three SAF missions. Origins of the Engineers branch in Serbia go back to the second half of XlX century, specifically 25 October 1865 (according to the old calendar), that is 6th November 1865 (according to the new calendar) when the Law on amending and complementing the Law on army organization from 1864 stipulated that pontoon and pioneer engineers should be exempt from artillery into a separate branch - engineers, along with infantry, artillery and cavalry. This date is nowadays celebrated as the Day of Engineers. Development of the Engineer branch can be divided into two stages: field engineer stage from its beginnings till WW2, which focused on building and maintaining lines of communication and field fortification, and the mechanized engineers stage, which started from WW2 and has lasted till today. Air Defence Artillery and Missile Units are designed to protect vital facilities, country's territory or the SAF elements against air attacks and air surveillance at all altitudes of their combat engagement. In addition, they are designed to counter airborne operations and close air corridors leading to important facilities and inner parts of the contry's territory. Air Defence units are suplied with surveillance devices, fire control systems and air defence equipment to counter all kinds of air attacks. They are efficent, capable to destroy all types of aircraft and aerodynamic missiles, able to act in any weather conditions, day and night, notwihtstanding electronic interferrance, and they can also fire maneuvre within its operational area. Air Defence units in the SAF are organized into troops, platoons, batteries, divisions and an air defence missile brigade. History of the Air Defence branch in Serbia goes back to 30th September 1915 when Private Radoje Raka Ljutovac from Tanasko Rajic artillery regiment, deployed at Meta’s Hill near Kragujevac, shot an Austro-Hungarian aircraft from a modified ground artillery cannon. In memory of the downing of the first enemy aircraft, 30th September was celebrated as St Patron’s Day of the Air Defence Artillery between two world wars, and starting from 1994 it has been celebrated as the Day of Artillery and Missile Units for Air Defence. Drawing from the WW1 experience, Air Force Command of the Kingdom of Yugoslavia founded Anti aircraft batteries and divisions that consisted of cannon, machine gun and reflector units. Up to 1962, the country’s Air Defence branch had not changed a lot, except for the anti aircraft artillery of different caliber and origin. Shooting down of the American spy plane U-2C at high altitude above the USSR with “Dvina” S-75М surface to air missile prompted the leadership of the former Yugoslavia to acquire this system in 1961. “Dvina” was delivered the following year, defining in this way technological development and outfitting of the Air Defence Artillery and Missile Units in the future. It is therefore that Air Defence Artillery and Missile Units are equipped with soviet made missile systems “Kub-M”, “Neva-M”, “Strela 1M”, “Strela 10M” and light portable missile systems “Strela 1M”, “Igla 1M” and “Shilo”. Aviation is today the most important branch of the Air Force and Air Defence arm and represents its strike force, combat power and maneuver. It is designed to engage targets in the air, on the ground and on the water, to gain air supremacy, to conduct air surveillance and to provide air lift and communication. Fighter units are designed to destroy targets in the air at all altitudes of their combat engagement, as well as to conduct surveillance and engage targets at land and sea. Fighter aircraft units are armed with “MIG-21” and “MIG-29” fighter jets. Fighter-bomber units are designed to engage targets at land and sea, as well as to conduct surveillance and engage air targets. They are armed with “Orao” and “Supergaleb” G-4 jets. Reconnaissance units conduct air surveillance and can also engage targets in the air, at land and at sea. They are armed with reconnaissance type of “Orao” and “MIG-21” jets. Transport units airlift combat elements, movable equipment and supplies, wounded and injured. They are equipped with An-26, An-2, JaK-40, Do-28. Transport aircraft units include also helicopter units or their parts that provide transport services using Mi-8, Mi-17 or “Gazelle” helicopters for general use. Helicopter units are armed with combat “Gazelle” (“Gama”) helicopters which are primarily engaged as assault helicopters to provide fire support to ground forces, but can be also used to counter helicopter attacks and to conduct partial tactical surveillance and reconnaissance. Aviation units are organized into air force brigades. The beginnings of the Serbian Air Force date back to 1912 when a group of future pilots was sent to French pilot schools for training. The first air force command was formed in Nis on 24th December 1912. Air Force units went to combat action for the first time during the siege of Skadar in 1913. Continuing its traditions, Serbian Air Force made big progress at the Thessaloniki front. Between the two world wars, a modern Air Force with a few hundred aircraft was developed from the first two squadrons. During the April war in 1914, Aviation, as the main force of the Yugoslav Royal Air Force, put up a fierce resistance against the German Luftwaffe. During the WW2, part of the airmen continued to fight in the air forces of the allied countries, while the other part set up the Air Force Units of the National Liberation Army of Yugoslavia and fought against the occupying forces. These units became the basis for the powerful and respectable Air Force that was developed from 1945 till 1991. It is with great morale and readiness to defend their homeland that the Air Force Units responded to the air campaign against Serbia in 1999. Worthy of their predecessors, Air Force and Air Defence servicemen fought against enemy who was far superior in terms of strength, equipment and technology. Riverine Units of the Serbian Armed Forces are designed to conduct operations on inland waterways, secure safe navigation and conduct search and rescue on rivers, canals and lakes, give assistance to the population in case of natural disasters and take part in peace keeping operations and other forms of international military cooperation. Riverive units train and practice to build and develop operational capabilities to fulfill specific tasks and tasks related to all three SAF mission; they control inland waterways and secure maneuver for the Army units. Riverine Units are organized in river detachments, pontoon battalions and River Flotilla. In order to complete its tasks, Riverine Units is equipped with: a special purpose vessel, multipurpose auxiliary and transport vessels, river patrol boats, pontoon and diving equipment. The Day of the Riverine Units is celebrated on 6th August 1915 in memory of the day when the first Serbian ship, an armored boat “Jadar” was launched. The ship was placed under Ada Ciganlija command and together with other ships took part in battles to defend Belgrade in October 1915. In addition to powerful and well armed Austro-Hungarian and Romanian made vessels, Serbian River Flotilla also had one armored ship, five motor boats - one of them an English torpedo boat and two Russian ones with Russian crew, two armored cargo ships, three auxiliary motor boats, one ship for medical assistance, three coast guard torpedo batteries and a significant number of boats. During April war 1945, a great act of heroism was demonstrated by the crew of the river monitor ship “Drava” that was sunk on 12 April 1941 after many days of uneven battle against German Luftwaffe. During the WW2, from 25th October till 20th November 1944, the first navy company of the National Liberation Army of Yugoslavia, with the assistance of around 80 soldiers deployed on Fruska Gora Mountain, transported across the river Danube around 220,000 Russian soldiers, 2,000 cannons and more than 3,000 vehicles. After WW2, River Flotilla was mostly equipped with small, fast armed boats, minesweepers, assault and patrol boats. River Flotilla was reorganized into a brigade level unit when pontoon units were included in its structure.